All About Endurance is about taking my 40+ years of experience, training, and education as an endurance athlete and passing it on. 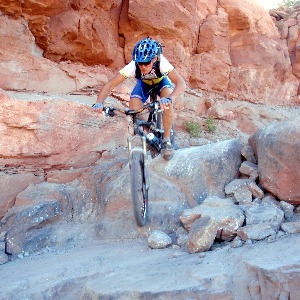 Specialize in endurance and ultra endurance running and mountain biking. In the last decade I’ve helped athletes go from the couch to the marathon; complete the Leadville 100 MTB Race; vastly improve performance and fitness of many athletes; and coach a high school mountain bike team. .
As a life time athlete with a full time job and family, I know what its like to train and compete while having a life.Coaching started accidentally when I helped a friend (50 year old mother of 9 and grandmother of many) lose dozens of pounds and run her first marathon. When she crossed the finish line with tears of joy and her family present I knew this is what I want to do. Since then I've coached a wide range of abilities ranging from first time marathoners to Leadman competitors. Success. Coach Larry DeWitt has been notified of your message. To hire Larry DeWitt as your coach, select the coaching service that is right for you.